On the occasion of his twenty-fifth birthday, Leo Vincey opens the locked iron box that is his birthright and finds an ancient potsherd. Following clues engraved on the relic, Vincey and the man who raised him, Cambridge professor Horace Holly, embark on a remarkable adventure that will take them from Victorian England to an uncharted region in East Africa. Surviving shipwreck, disease, and hostile natives, they discover a lost civilization no European has ever encountered—or lived to describe. They have entered the realm of the cruel and beautiful Ayesha, known to those who worship her as “She-who-must-be-obeyed.” For two thousand years, the white queen has been waiting—for what, Vincey and Holly are about to find out. 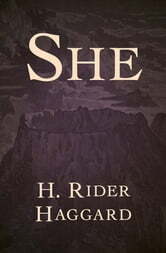 One of the bestselling novels of all time, *She *has held readers in its thrall for more than a century. 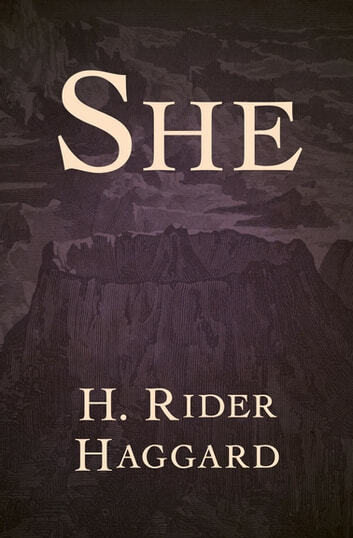 Alongside Haggard’s other classic, King Solomon’s Mines, it established the conventions of the lost world fantasy genre, and has inspired some of our greatest thinkers and writers, from Sigmund Freud to J. R. R. Tolkien to Margaret Atwood.